earlier visits. Except as otherwise noted, all these photos are mine and were taken on an iPhone 6 during this year’s conference. 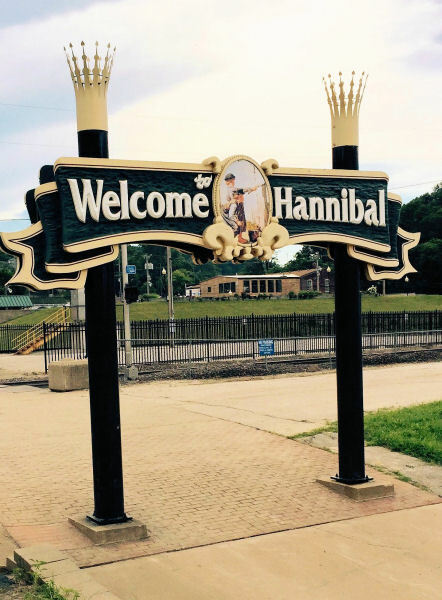 Located where Hill Street meets the river, this sign welcomes cruise boats stopping at Hannibal. and other important sites are only a few blocks farther away. Hannibal viewed from Lover’s Leap in 2013. The arrow points to Mark Twain’s Boyhood Home. 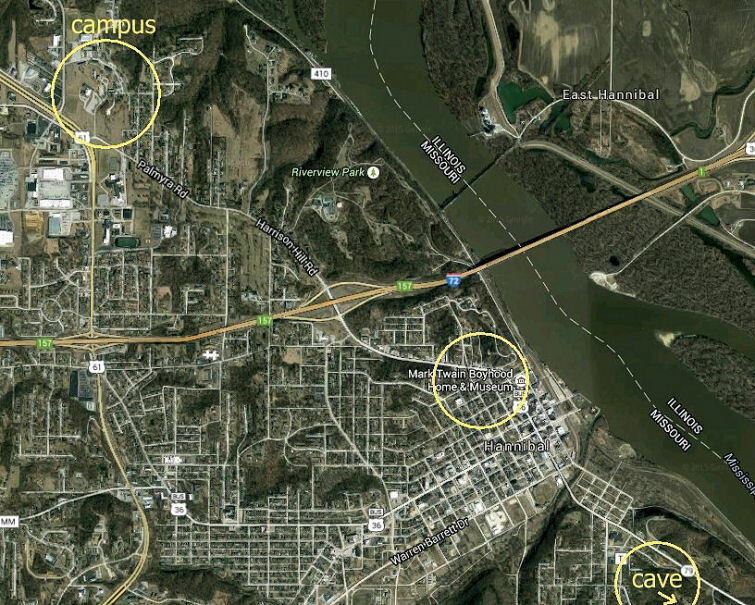 Until fairly recently a substantial railroad yard occupied the flat area at the lower right side of the picture. Trains still pass through Hannibal frequently but rarely stop there. the Mark Twain Cave. The river flows from northwest to southeast alongside the town. 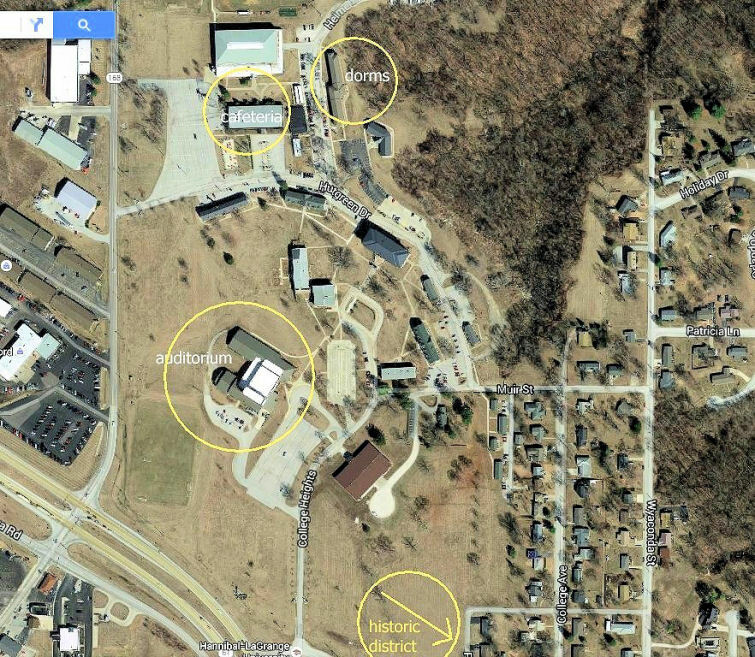 Google satellite view of the campus photographed during a winter month. During the conference, the fields were uniformly lush green. and trolleys were available to take conference attendees into town and back. Gail and Larry Berkove aboard the trolley.